A stylish, high quality, sparkling chrome plated Horizontal Radiator will create a focal point of any room. Our chrome plating line is super efficient and provides over 50 Microns of chrome for a bright, heat efficient finish! 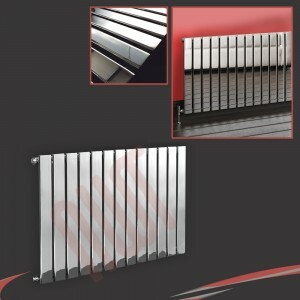 The Corwen Chrome is a sleek modern radiator that comes in both vertical and horizontal models. With one of these fitted in your room it will bring a modern feel to the room. With clean, simple lines and flat, svelte silhouette, the delightful Luna radiator was made for contemporary interiors. Wide panels finished in polished chrome combine to create a pleasing aesthetic that is chic, current and delightful in any room. With its chunky cylindrical tubes this imposing chrome designer radiator is a real statement piece that combines great aesthetics with impressive performance. Make a bold impact on the look and feel of your living space, with the sensational Alpha vertical designer radiator. 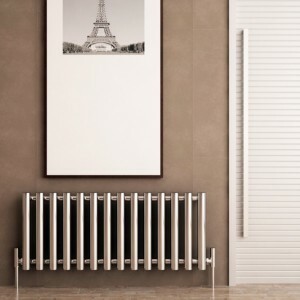 Ultra-modern and with a sleek oval tube profile this radiator exudes luxury designer style. Inject a splash of contemporary urban style into your home, with the striking Metis floor mounted radiator. This unique model features a hard-wearing and high quality chrome finish which compliments the chunky, cylindrical tubes. Inject some contemporary chic into your living space whilst keeping it irresistibly warm, with the stunning Avantis floor mounted radiator. This eye-catching model features a chunky, square profile design for impressive heat outputs.